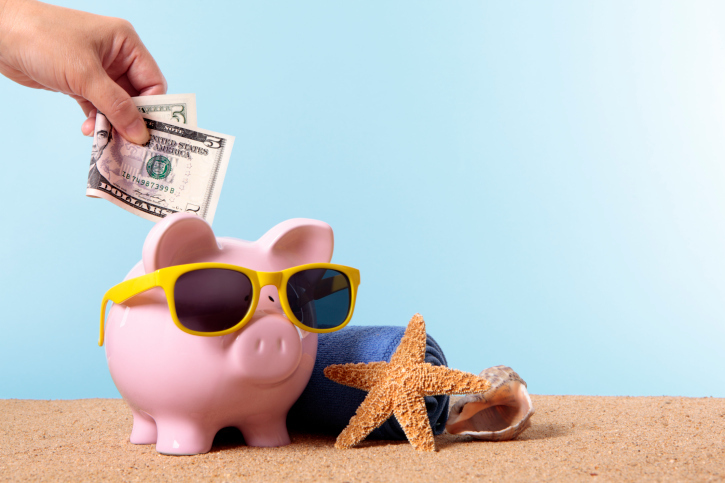 5 ways to save money on your next vacation. NEW YORK — Vacations are a great way to relax, reconnect with family and escape the daily grind of work. But they can also quickly drain your savings account. So here are five of our favorite tips to save a bit of cash on your next trip. Search for just one airline ticket: Airlines set aside seats in a series of fare buckets or classes. We aren’t talking about first class vs. economy class. No, these classes are those tiny letters you often see next to a flight, such as L, Q, K or U. The seats are the same; the price isn’t. Bargain hunters should always search for one seat at a time. Then increase your search up to the number of tickets you actually want. If the price is the same, go ahead and book it. If the price is different, consider booking two separate itineraries; the first at the cheaper price, the second for the remaining passengers at the higher price. But beware: If your flight is canceled, your party might be split when rebooked onto a new flight. Avoid bag fees: Getting an airline branded credit card can mean no checked luggage fees. This isn’t always advisable, but can save a large family substantially. Make sure to read the fine print. All three airlines require you to use the credit card to book your flight. United only waives the fee for the cardholder and one companion. American allows three companions and Delta waives the fee for up to eight others. Everybody must be on the same reservation.Save on lift tickets: This is one area where paying in advance almost always saves money. Most ski resorts now offer online ticket sales at a pretty substantial discount. The catch: you must commit to the mountain and — in many cases — exact dates. If the weather is poor, you are out of luck. Keep checking car rentals: Most car rental reservations can easily be canceled or changed up until you pick up the vehicle. If prices fall, you can rebook at the lower rate. But most travelers don’t have the time to constantly recheck prices. Decline car rental insurance: Car rental firms sell collision damage waiver (CDW) insurance for up to $25 extra a day. It offers protection from theft, vandalism or other damage.